"An Experienced DJ For Everyone's Price Range"
Based in Dorset and with over ten years in the industry I come to the dance floor with confidence. From the 50s to the latest top 40 chart hits I have music for everyone, including good old fashioned cheese if you like to indie rock and roll. Offering a professional service at a very competitive price due to the fact that I love my job so much. 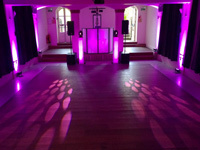 I believe in quality so I use a professional grade digital sound system and computer controlled lighting with the optional extra of colour mood up lighting, I can cater for the most prestigious of venues and events. No event to big or small, from small birthday parties to grand weddings with 200 plus guests, I will keep in constant contact and ensure you of an easy and stress free event. Required by many venues, The Reflex Mobile Disco has not provided satisfactory evidence of having current PLI available. Also required by many venues, The Reflex Mobile Disco has not provided satisfactory evidence of having current PAT records available. A Method Statement, outlining The Reflex Mobile Disco&apos;s Health & Safety procedure for setting up disco equipment has not been supplied. Why do people choose to book The Reflex Mobile Disco? "Nathan’s dj skills were perfect. He even included a mr and Mrs game that my husband and I wanted to play. He played a good variety of music and all our guest enjoyed themselves. Nathan was great value for money. Would 100% recommend and would definitely use again. " "Sadly with great sad heart I have to review the completely unprofessional way The Reflex Mobile Disco runs his business . Loud horrendous technical issues , ruined songs all evening and my daughters disco . Continued cigarette breaks and Screen taped to a chair . After complaining to man whom signed my agreement he now threatened any further emails will go into his spam and he claims he believes his employee over myself and many other witnesses!!! I feel completely let down by this service which is supposed to provide a secure and safe facility and hope this helps others not make the same mistake . " "I take great pride in the services which we provide so this saddens me greatly and I always wish customers to have a fantastic time. This is a unique situation and one that I am 100% sure will not happen again. The first point to mention is that the customer breached there contract by not paying on time and with a day to go there seemed to be confusion on the customers side ( obviously didn't read there contract or read previous emails sent to them ), this voided there contract and I passed the booking straight to another DJ which was paid cash on the night. Bear in mind that I did not have to pass any details on or contact the client after my terms were not met but I would of hated for the clients daughter to not have a DJ for her birthday. In reply to the issues stated in the review then the technical problems were nothing to do with the DJs equipment but the venue's insufficient power supply with the DJ in question playing at many events since with no issues. As for cigarette breaks"
"Couldn’t fault Nathan , he made my mums 80th party a great success. " 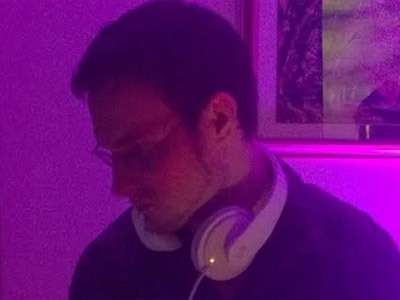 "It was my pleasure and I had a blast playing a wide range of music and adding a touch of mood lighting to an already amazingly decorated room. Wish you, family and mum all the best In the future"
"Nathan was a fantastic guy who did a spectacular job and I would strongly recommend him to anyone looking to book an event. Thank you very much Nathan. 5*"
"It was my pleasure and really enjoyed playing for you both on your special day." "Nathan was amazing! In contact regularly, catered to everything we wanted. Absolutely amazing bloke with great DJ skills. Would 100% recommend and use again for parties!!" "Peter was a great DJ, especially when the age range was so vast. The earlier music catered to the younger age and then once the children had started to leave the music changed.....Very helpful and would recommend this company to any of my pals." "Thank you for your positive review which Peter said he had a blast playing for you and really enjoyed himself. We wish you all the best in the future." "I was really pleased with the communication with Nathan. He was very enthusiastic about my playlist and I felt he was really invested in my having a fabulous celebration. On the morning of the event I was disappointed that he emailed to state that he was ill and had found me a replacement DJ. The replacement was adequate but I didn't really feel any rapport with him, as obviously I hadn't ever communicated with him before. It obviously was not Nathan's fault in any way, but it was disappointing." "Would definitely recommend and use Nathan again." "Nathan was perfect- played every request. Not an easy party as for 80th but he was brilliant! " "Nathan was excellent, knew what music to play to get the party started and Karaoke was brilliant. The only time the dance floor was empty was when we were eating! Excellent job. Thoroughly recommend him"
"Nathan was brilliant, he engaged with the kids, played games with them and had them all up dancing the whole time. I can highly recommend Nathan and found him great value for money." "Dave arrived promptly, set up quickly, asked if there was a playlist we wanted, played what we wanted, was very clear when he spoke, made sure the right music was played at the right time. Overall he was excellent. " "Really pleased with the service and would use again." "Nathan did a great job, everyone enjoyed themselves and we all had a good dance. Thanks very much :)"
"Dj was brill left song choices up to him and he done a great job I have already been asked for his details from a guest at the party and will definitely use again very happy "
"Everyone loved the DJ set played by Reflex for our Christmas party. The music catered for people of all ages and tastes. Price was exceptional and would definitely book again." "Nathan has got a good heart. you can tell he loves what he does. And when you love something that much, you are bound to excel at it! music choices were great. he read the crowd like an open book. his rig was top notch and the mirror ball lit up the room just right. if i could keep him, and the magic he brought to our small gathering, for myself, i would. but a gift like this needs to be shared, so I'm telling everyone about the Relfex Disco DJ, Mr Nathan Walters :-)"
"Thats what it is all about and it makes me so happy to read reviews like this. Thank you Christoff for your kind words. I had a blast and so much fun. I really felt connected to the crowd and it was one of those nights where I had the next song qued up just before someone requested that same song :). Hope to see you next year. Nathan"
"I love my music so it was always going to be difficult to find my perfect DJ, or so I thought. Nathan asked me for an indication of what music I liked, suggested a Disney Disco for the kids, and played a brilliant set. Old school, new school and country. I haven't had so much fun in years, and my guests even commented on how good the music was. Nathan was both professional and friendly, very prompt and mindful of my needs and even took requests. I've organised many events, been to many parties and industry events, and would recommend him over other DJs. Thank you Nathan for making my 40th memorable." "We hired The Reflex disco for a school halloween disco. Nathan was great and everybody thoroughly enjoyed themselves. Our PTFA has had fantastic feedback for this event. Thanks for a great evening of music!" "Brilliant dj and would highly recommended to anyone, friendly and happy, my daughter loved all the music ancient had an amazing time"
"I would highly recommend reflex mobile disco, Nathan was great. Everyone commented about perfect the music,sound and atmosphere was .They made our day extra special :)"
"He did all that was asked of him and more .made our wedding day perfect "
"It was a blast playing for you guys with a mixture of classic requested and I am glad I was part of your special day." "Nathan was very nice and the Disco and Karaoke provided was very good. We all had a very good evening." "I am glad that you had a good time. It was a very unique 18th birthday with the birthday girl having a very good mature taste in music. The Karaoke was great fun and with the boys singing Frozen which really finished the night off." "Nathan did exactly as I had requested. The music was great and once he got a feel for the audience he kept it going and kept everyone dancing. Requests were catered for and all my guests said that they had the best evening in ages. Thank you Nathan for making our party so enjoyable." "Thanks for your kind words, it really does mean a lot to me. Im glad you all enjoyed yourselves and it made a nice change to be playing outside and it felt very unique and personal. I absolutely loved playing " you never can tell" from pulp fiction which you both nailed when dancing together. Wish you all the best, Nathan." "bsolutely perfect preparation and all bits prior to event done with greatest of ease with good suggestions and clear instructions for requirements. Unfortunately DJ booked fell ill on the day and arranged a substitute, who equally carried out everything to our wishes"
"Kevin was very good, funny and played an excellent playlist of songs. All my guests danced from early til late"
"Prior to the event, Nathan communicated well and knew exactly what we hoped for from him. We were late arriving for our own party[! ], but Nathan had arrived in good time, set-up his equipment, and had the early guests entertained. I think he showed a great balance, moving from background music while guests mingled and chatted, to latterly getting people dancing... At the end of the evening the equipment almost melted away and Nathan was gone without any fuss. I thoroughly recommend him." "My daughter and all guests had a fantastic night! Was great value for money, I would certainly recommend this DJ and hire again for future events"
"Nathan played a great set for my party. The lights and effects added to the mood of the night. Nathan was personable and professional,will recommend to others. Thank you." "Nathan was brilliant. He went above and beyond, offering a service beyond expectation. I had a really clear idea of exactly what I wanted and Nathan tried out new techniques, bought new equipment and sent photos to ensure it was what I wanted. The music was brilliant and the quests danced all night. We had the most amazing time and Nathan played a big part in that!" "I would recommend reflex disco to anyone. We will certainly be using him again." "There was a problem with the original dj so we had a last minuet replacement on the night who was fantastic. This was [non member name removed]. This was organized by reflex disco and everything worked well . I recommend [non member name removed] any time." The Reflex Mobile Disco also offers a range of additional party services not directly linked to musical entertainment. Get FREE no-obligation disco quotes from The Reflex Mobile Disco and other DJs covering your venue. Take 2 minutes to fill in some basic details and we'll do the rest! If you are contacting The Reflex Mobile Disco about an event, it's always a good idea to include the DATE, LOCATION, EVENT TYPE, AGE GROUP and TIMINGS to speed things up!